Guided Tours of the house run daily at 10:15, then hourly on the hour until the final tour at 16:45. To find out more about Castletown House, simply visit their website or call, + 353 1 628 8252. Castletown House, Celbridge, was built in 1722 for ‘Speaker’ William Conolly, the speaker of the Irish House of Commons from 1715. It was and is the only house in Ireland designed by the famous Italian architect Alessandro Galilei (1691-1737). The only Irish Palladian house to have been built with the correct classical proportions, it is said to have influenced the design of the White House in Washington. Catherine Conolly, widow of the great ‘Speaker’, continued to live in Castletown until her own death in 1752. Castletown was then inherited by her nephew William. He died just two years later and the house was inherited by his son Tom Conolly. ‘Squire’ Conolly, as he was known, married Lady Louisa Lennox, daughter of the Duke of Richmond in 1758. Louisa was only fifteen years of age at the time. The ‘Print Room’ dated c.1765 is attributed to Louisa. It is the only print room in Ireland to have survived. The fashion of print rooms originated in England and consisted of engravings and mezzotints being pasted onto the wall and framed with decorative borders. In 1965, Castletown was put up for auction by Lord Carew, whose mother was a member of the Conolly family. 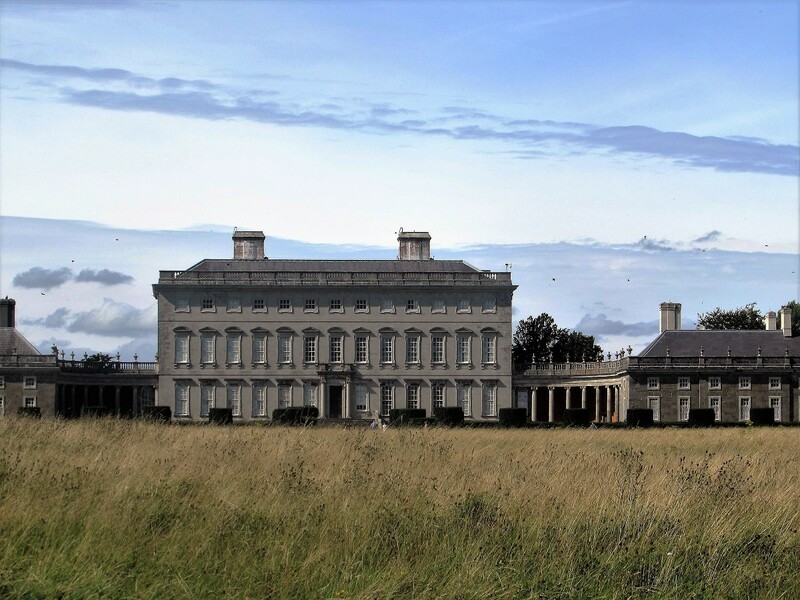 It was bought by speculators who, after obtaining permission from Kildare County Council, built a modern housing estate beside the avenue of Castletown House. In 1967 Desmond Guinness bought the house and made it the headquarters of the Irish Georgian Society. The house was opened to the public. Money was spent on restoration and refurbishment of Castletown, which had lain empty and decaying for two years.